Today marks 8 months since we packed up our belongings into 3 large suitcases and left Boston for Berlin. I still can’t quite believe that I get to say, “Oh, I live in Europe.”- pretty surreal. It’s been a wonderful yet challenging experience and I think it’s only going to get better! 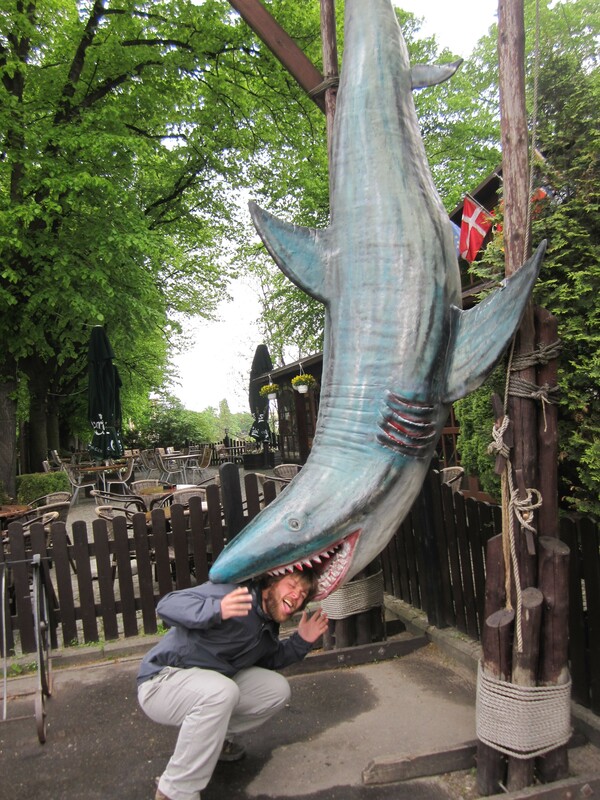 The biggest challenge for me initially was having to worry about how exactly I was going to legally stay in the country after my initial 90 days in the Schengen Zone. As my 90 days came to a close in December and I was still without a job I was getting pretty stressed out. Didn’t really help that in Berlin it would get dark at 3:45 in the afternoon literally making me feel like I was “in the dark” all the time. Luckily my problem was solved (or rather postponed) when I decided that to sign up for intensive German classes that would allow me to remain on a student visa. In the meantime I was able to secure a free-lance position with an international company and was provided with the paperwork I needed to secure a free-lance visa. Unfortunately the job fell through when not enough people signed up for the English courses, but at least I’d been able to acquire my much desired visa. I’m no stranger to job searching, as I had taken the plunge twice before when we moved to DC jobless and then Boston. And let me tell you- job searching in 2007 as a fresh-faced college grad with no experience was a walk in the park compared to the Boston job search in 2009 and the Berlin experience in 2011/2012. Luckily things always have a way of working out in the end. In Boston I searched in vain for 5 months, but then landed my dream job at Northeastern (a job I still miss all the time). And here in Berlin I finally received the offer I’d be praying for when in late April I was offered a position as a Kindergarden teacher at an international school in Berlin! I won’t start work full-time until September 1st due to our lengthy trip back to the States this Summer, but I’ve been working a couple days a week pro-bono to get a feel for the school, meet some of my colleagues and get to know the kids. So far everything is wonderful! Each class has between 15-20 kids and 3 teachers (pretty amazing S:T ratio!). 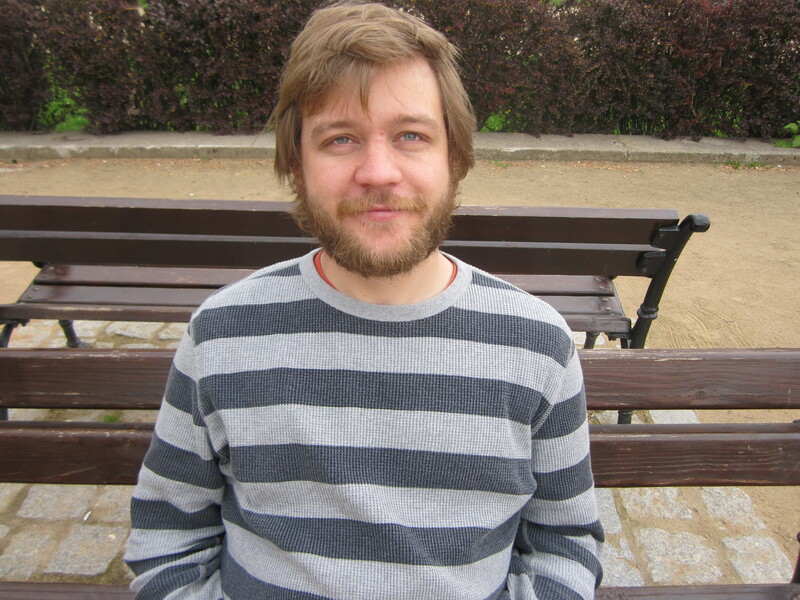 Of the three teachers, two are native German speakers and one is a native English speaker. The idea is that the kids are exposed constantly to both languages and learn to understand and speak both through immersion. It’s a really interesting place to work and my colleagues seem great. I’m so thankful to 1. have a job! 2. be still in a school environment and 3. be at a place that will expose me to some great people! Though the past 8 months did bring some stress with the visa situation and the job search so much more our time here has been stress-free and fabulous! We’ve traveled to 6 different countries, celebrated our first Christmas together, explored so much of Berlin, met some great people and of course, got engaged!!! My highlights thus far include the TEFL program I completed in Prague back in Oct/Nov, traveling with Maddie in Belgium, Prague and Berlin, our Christmas in the Black Forest, our engagement in March and our trip to Ireland for Saint Patricks day. Dave too has enjoyed the traveling, but has been much busier than me on the work-front. He’s finishing up his second semester in just over a month, working part-time at a non-profit and will soon begin his search for an internship come Fall. Good thing he loves his program and economics so much- with all that’s happening with the Euro Crisis it’s an interesting time to be studying finance anywhere, but especially Berlin. When asked about his Euro highlights he mentioned his ski trip to Austria, his birthday trip to Ireland and drinking glühwein at the Christmas markets. All in all I’d say we’ve been pretty happy here in Berlin and are excited for the next 8 months and beyond! The weather in Berlin is fickle, to say the least. Hot, humid and 85 degrees one day; cold, rainy and 48 degrees the next…it’s kind of like Boston, but worse! Luckily we’ve been able capitalize on some of the beautiful days and do some inside exploration on the not so pretty ones. We live right next to Kollwitzplatz and have enjoyed many an afternoon or evening relaxing in the little park there. We’re also within walking distance from Mauer Park and Friedrichshein Park- both great places to spend an afternoon reading and lounging. We’re both really into the Game of Thrones books right now- Adrian’s on the last book- Dances with Dragons and I’m impatiently waiting for her to finish so I can get at it. I have been very busy with work and school as well, not that that is anything too interesting to read about… This semester at HWR is very short, only about 4 months in total, far shorter than last semester. Unfortunately, my professors are forced to get the same amount of material out in a shorter time frame, so the weeks and months are pretty packed for me with coursework. I have an interesting slate of classes though, including Risk Management and International Asset Portfolios so I don’t mind. We have been assigned a lot of group work this semester, which can be annoying but also rewarding in its own way. My internship has been busy as well. I am working at Global2015, a non-profit research organization quantifying the world’s most pressing humanitarian issues. Currently we are putting together a compendium of all the most relevant climate change statistics for the upcoming Rio2012 Summit in Brazil. Our deadline is approaching fast but the work is interesting. I also really enjoy my co-workers, whom are from all over the world, including Spain, the UK, the Ivory Coast, Kenya and of course Germany. I have also been able to put a fair amount of my skills from HWR to use, as I have been working hard on helping to resolve some of the statistical issues with our research. 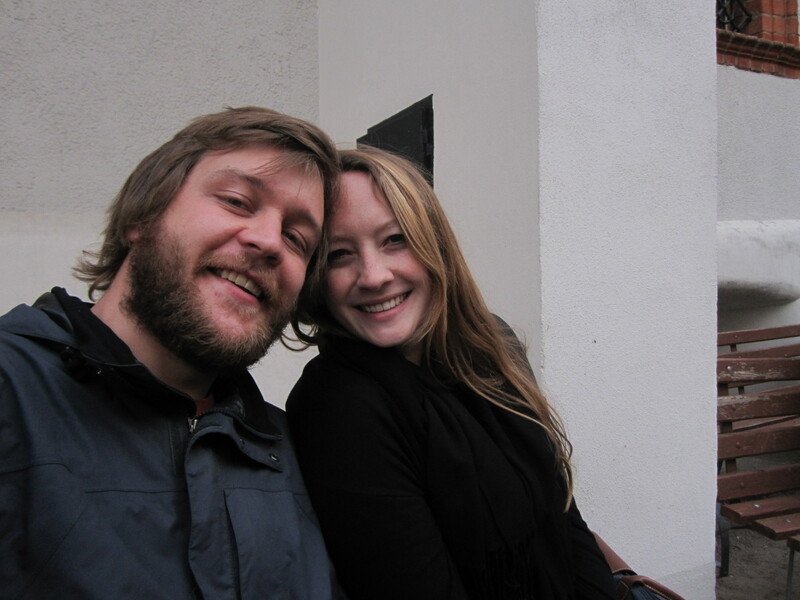 Adrian and I have been working hard at settling in to our new place in Prenzlauer Berg as well which has proved at times challenging but also pretty fun, P-Berg is by far the most beautiful neighborhood in Berlin; I am now convinced. It really is nice to leave the apartment everyday and be surrounded by beautiful trees and architecture with nice looking people wandering around everywhere. But we are in an old building and noticed just the other day that a large portion of the wall is falling out, just below the window sill. Not good! The months seem to go by so quickly and we both are really looking forward to our long trip back to the USA this summer, though I know I will miss Berlin while we are gone. Still, we can’t wait to see all our friends and family soon! 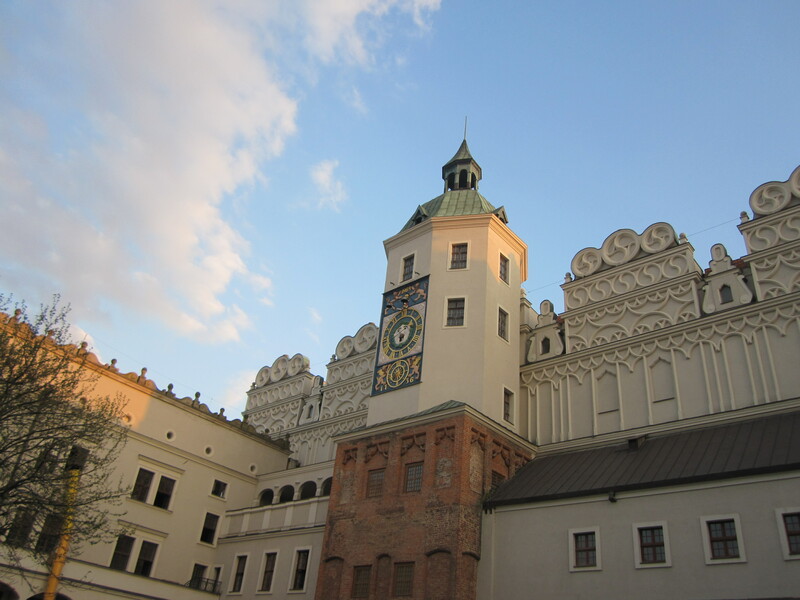 Last weekend Dave and I took an quick trip over to Poland. It had been a few months since we’d done any travel and we were itching to see some more of Europe. 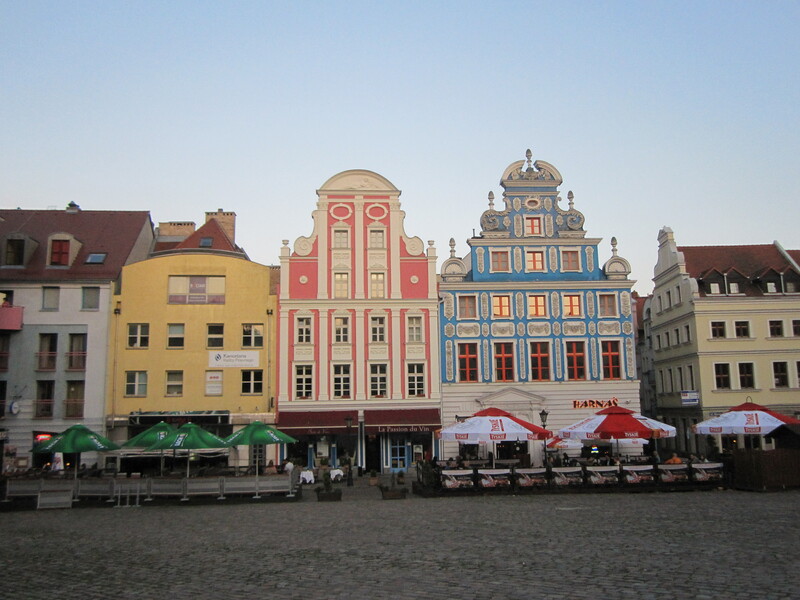 We decided to head to Poland’s 7th largest city, Szczecin- which is just across the Germany/Poland line. We were able to find a transport on essentially the equivalent of a commuter rail for only 10 Euros each way (Szczecin is only about a 2 hour drive/train ride from Berlin). 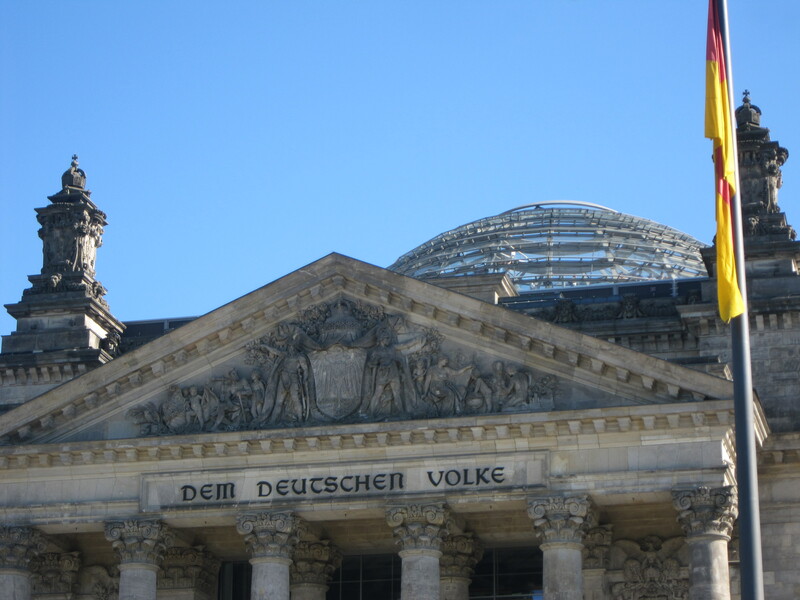 We left Berlin on Thursday afternoon for our two night stay. 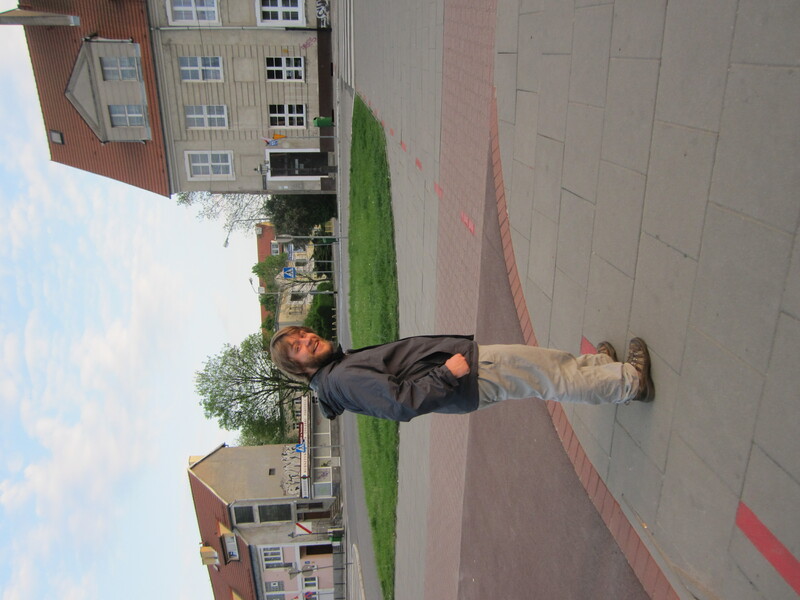 Upon arriving in Szczecin we promptly got lost and took about an hour to find our hotel (another great deal at only 25 Euros/night!). Luckily we found some friendly cabbies who were nice enough to give us directions in a mix of German, Polish and English. 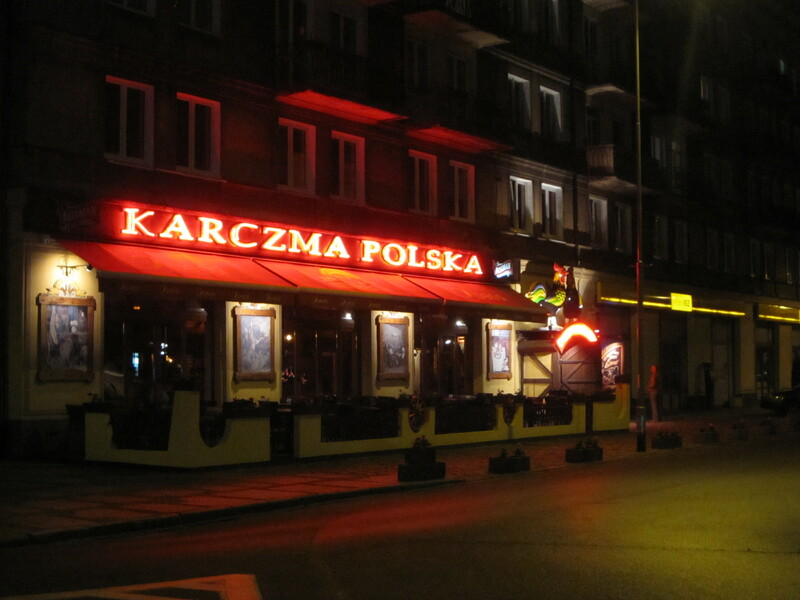 After checking in and relaxing for a few minutes we headed out to find some traditional Polish food. I’d done a little restaurant research on TripAdvisor the night before and we easily found Pod Kogutem. We were a little nervous about the food because we were the only customers, but pretty much everywhere in the city was dead- a total 180 from what Berlin is like any night of week.Though the dinner atmosphere was slightly odd the food was fantastic! We started with some traditional Polish perogies followed by steak medallions with Polish dumplings for me and a pork loin for Dave. 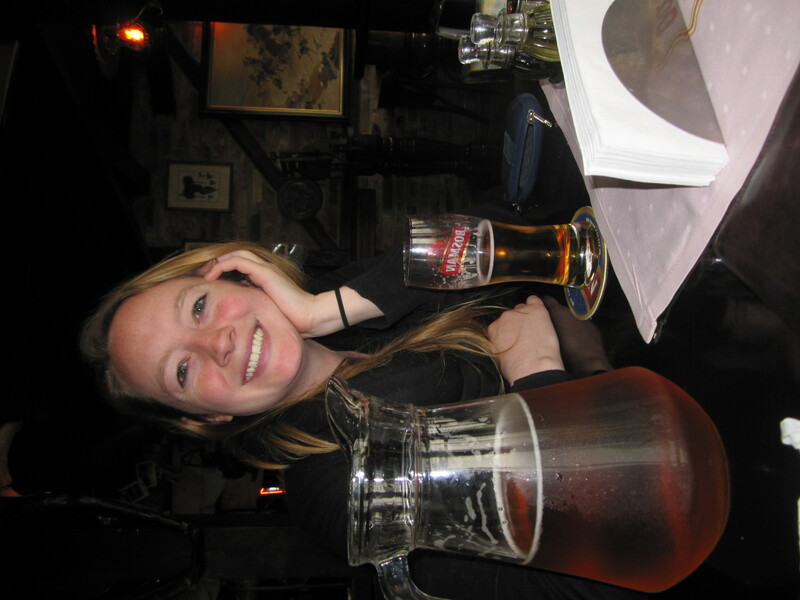 Of course, there was Polish beer to be had as well. After dinner we decided to head back to rest and get ready for some sightseeing in the morning. We awoke early the next morning and were pleased to see that rain was holding off. 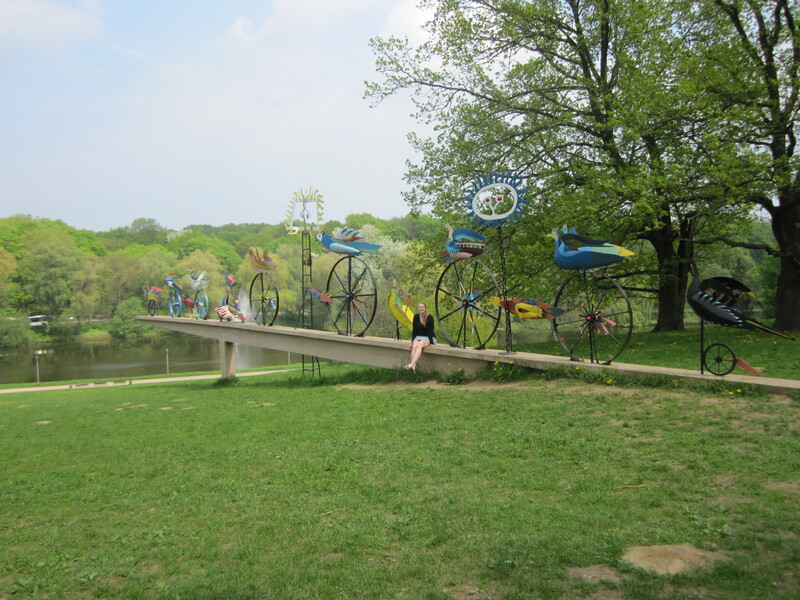 We headed toward the downtown area for coffe and breakfast and then began our walk along the “Golden Route”. 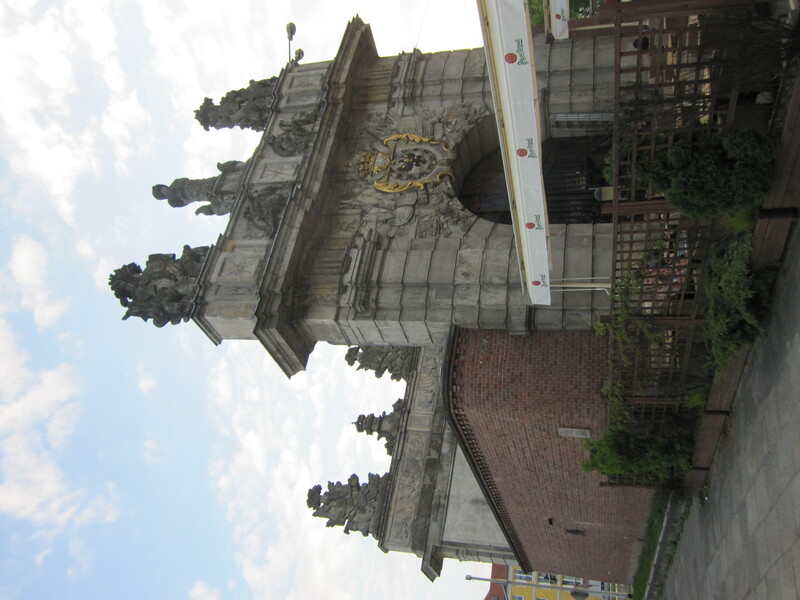 The Golden Route takes one down the “main street” in Szczecin- highlighting different monuments and important features along the way. 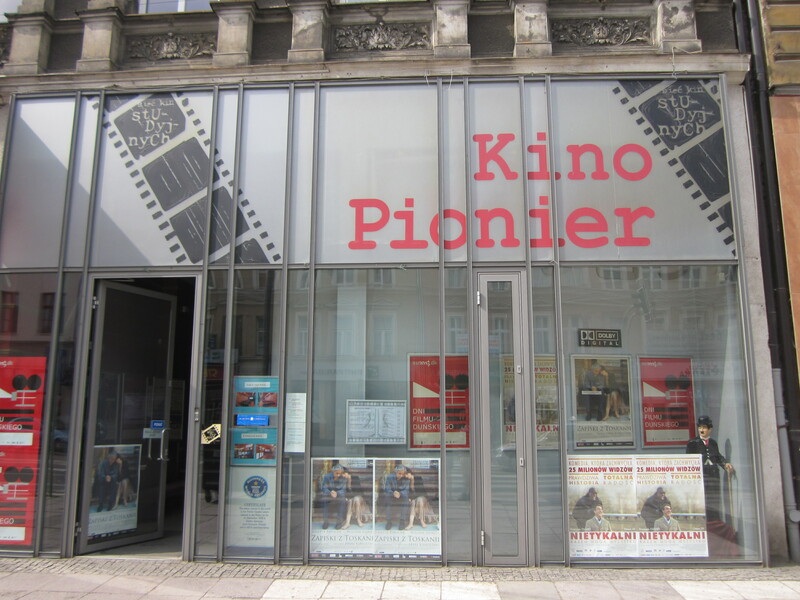 We saw monuments dedicated to “Polish Great Deeds”, sailors, dancing fountains and even the world oldest movie theater (we stopped by to see about tickets but all the films were in Polish..as one would imagine). 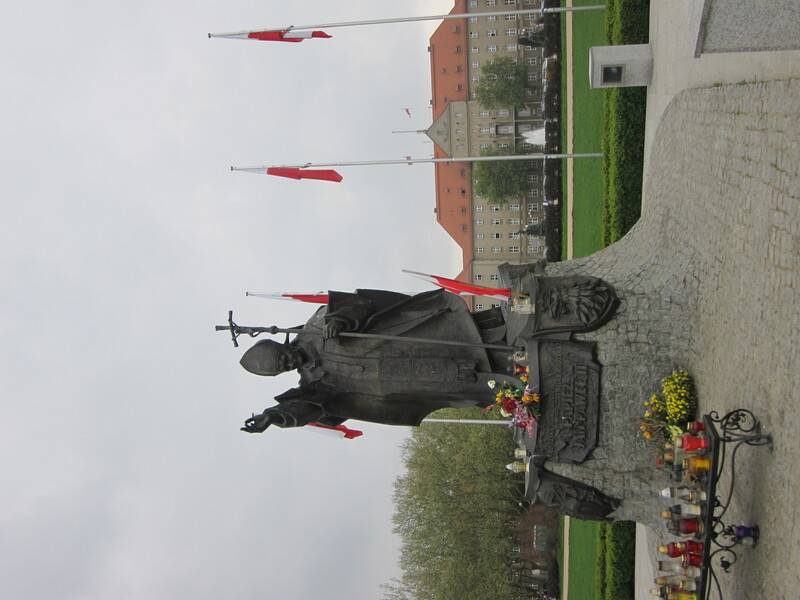 The highlight of the walk came when we reached the Jana Pawla II square- a huge green square with a large statue commemorating Poland’s own Pope John Paul II. From there it lead into a large park with ample walkways, an outdoor concert venue, a rose garden and a beer garden. After wandering through the park for a bit we made our way back to the beer garden for some Kielbasa and beer. From there we continued back down the route stopping at some additional sites before heading back to the hotel to rest. After a bit of a rest we made our way back out into the city. We’d spent the morning exploring the Golden Route and decided to enjoy the evening on the Red Route- a red dotted line near the riverfront with numbered stops delineating an important site. 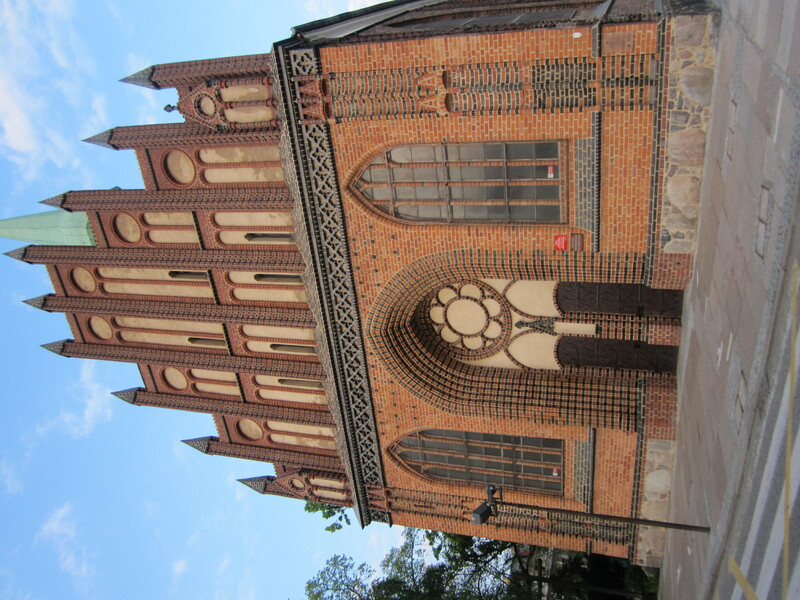 More than 60% of Szczecin was destroyed during allied air raids in the Second World War, but we were still able to check out a number of old churches, government buildings, a stone gate dating back to the mid-1700’s and the Pomeranian Duke’s Castle. As we walked towards the castle we were able to hear music- upon heading into the one of the castle’s courtyards we saw a stage set up with a live band playing country tunes! The 5 person band was actually really great and we stayed for about half an hour. Though it didn’t seem like any of the other audience members knew the words to the Dixie Chicks and Shania Twain tunes being performed everyone was really into the show. One man even lifted up his girlfriend, carried her up in front of the stage and they started dancing. Two very drunk older gentlemen soon joined in–a very festive atmosphere in deed. After the concert and a few more stops along the Red Route we found a delicious and cheap Italian restaurant near the castle for dinner. We shared a plate of pasta and a pizza before making our way back through the city and to our hotel. The next morning we woke up to dreary weather, but were determined to see some more of the city before our 6:00pm ride back to Berlin. We hadn’t yet walked along the river and we made our way down to the boardwalk. We spent the morning taking a few more sights from the Red Route we’d missed the day before. 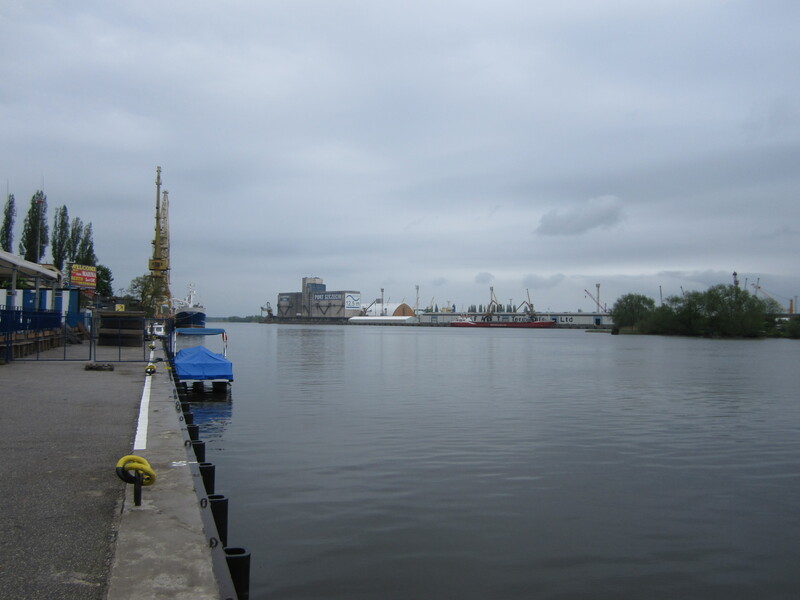 The river in Szczecin leads out to the Baltic Sea and we walked along a very pretty tree lined road with a great view of it. 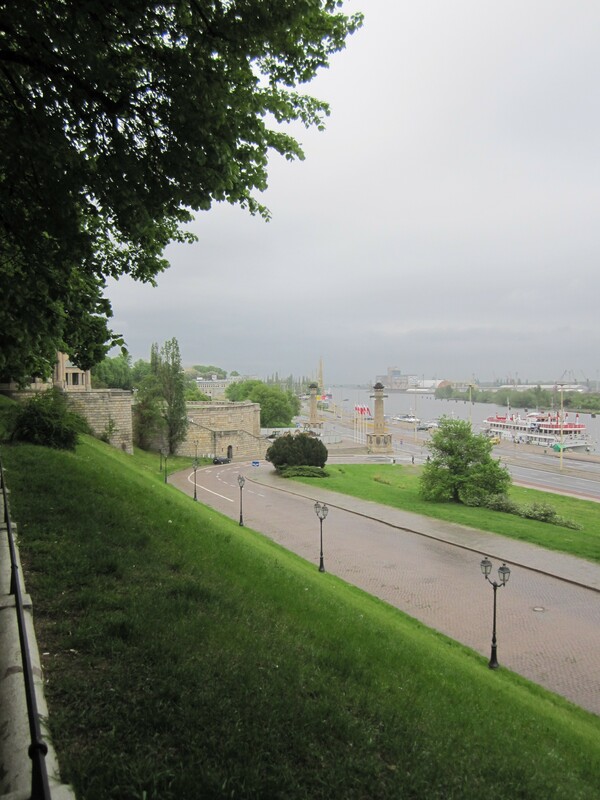 We were also able to see a bit of the Maritime Museum and another huge city park. The rain started to pick up a bit in the afternoon so we decided to spend our last few hours in the city with some perogies and beer. We found a spot that over looked the river called Colorado. 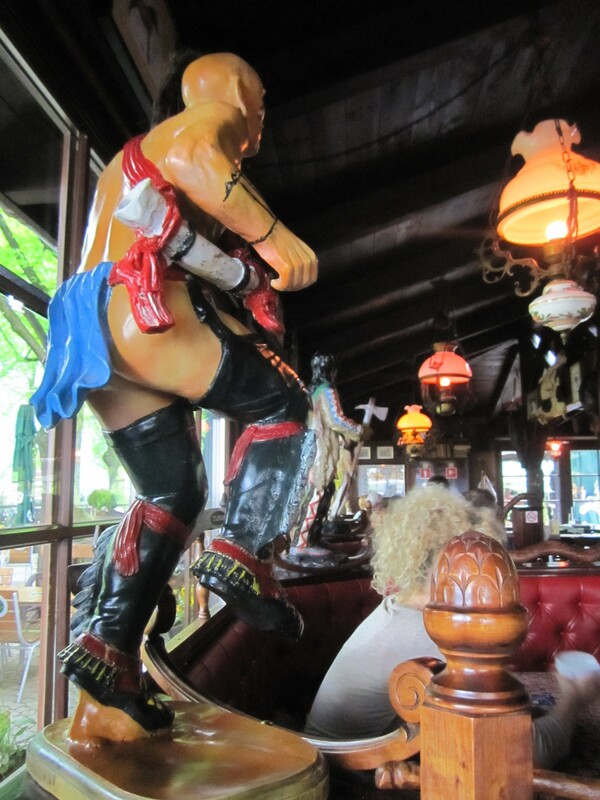 The interior was slightly politically incorrect, but they had some tasty food and pitchers of beer for 18 złoty (about 4.5 Euros). We were happy to have found a spot out of the rain and enjoyed a few hours in “Colorado” before heading back to Berlin. 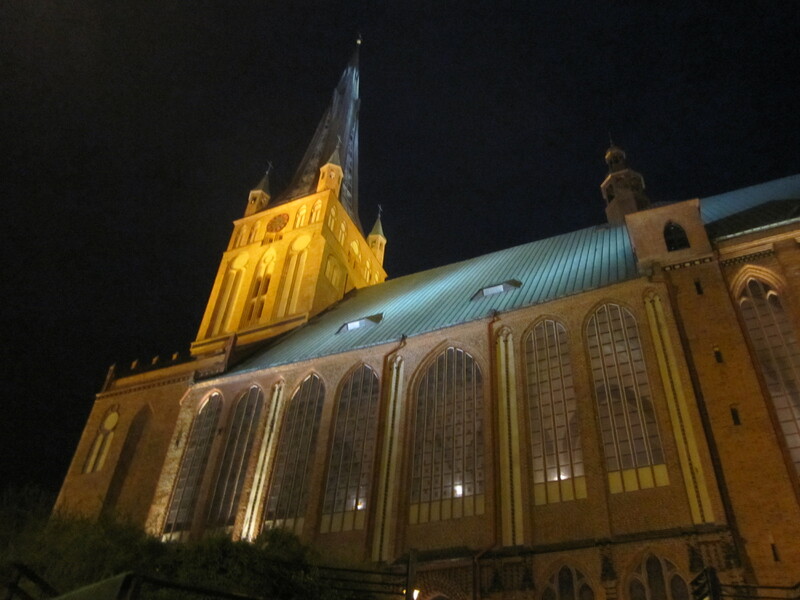 We had a great time exploring Szczecin. The city was very walkable and easy to navigate. It’s changed hands a number of time over the years- being ruled by the Swedish, the Soviets and the Germans. The city though is home to more than 400,000 people now and from our view it looks they’re working hard to improve and modernize. Overall the people we met were friendly and helpful. Also something interesting was the immediately noticeable national pride. Polish flags were absolutely everywhere! And it was easy to find shops with Polish gear and memorabilia. Since arriving in Europe we’ve both been questioned about national pride and our thoughts on patriotism- something that’s always an interesting topic in Germany given their past. It was interesting to see such a bold display of it in Szczecin and I’m sure will provide exciting fodder for conversation in the future. We’re headed back to the US for a good chunk of time this summer but are hoping to get at least one more trip in before we fly back. We’ll keep you posted! May 1st is a national holiday in Germany, roughly the equivalent of Labor Day back home. Adrian and I took advantage of the day off to take a trip to a huge carnival in Kreutzberg. We had a great time so I decided to put together a little blog post about the experience. We had been out very late the night before at a friends house… in fact we didn’t make it home till after 4am! The Berliners think nothing of staying up that late, but for Adrian and I, that is about as late as it gets. Incidentally, when we finally made it home to Prenzlauer Berg and got off of the train, the streets were still packed with people so that will give you a bit of an idea of just how nocturnal the Berliners are. Unfortunately, we aren’t ‘true’ Berliners, so we didn’t wake up on May 1 till late in the day, probably about 12:00 noon. Adrian wasn’t feeling very well, but we knew we would regret not going to Kreutzberg, as we had heard really good things about the festival. 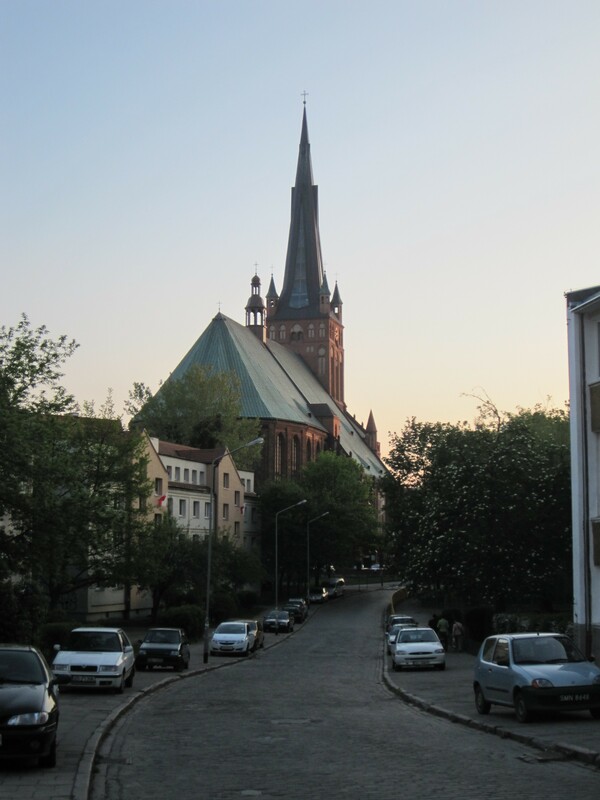 Kreutzberg is one of Berlin’s most popular neighborhoods and it is by the city’s most trendy spot. Trendy people can be a little insufferable at times, but they at least know how to throw a good party. Had a quick bite to eat and a cup of coffee and headed out. The weather forecast was predicting rain, but when we left the apartment the sun was shining and it was nice and warm. I noticed that there were fewer people out and about than normal in our neighborhood and wondered if fear of rain was keeping people in for the today… I quickly found out this was not the case. It seemed everyone in Berlin was headed for Kreutzberg and the festival. The U-bahn train was absolutely packed with people. The closer we got to Kreutzberg also, the more people sardined there way on to the train. I could tell it was going to be a day of crowds (as most days in Berlin seem to be, if you come from Maine). 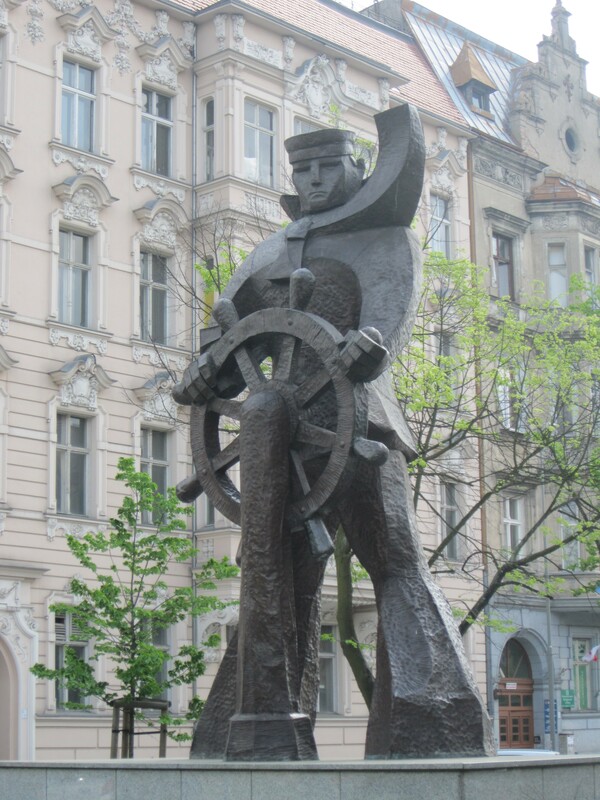 A quick word about the Erste Mai celebration: as I said, it is the German equivalent of labor day. Thus the left leaning portion of Berliners and Germans use the holiday as an opportunity to rally in support of pro-labor policies. Berlin has it’s fair share of activists, communists, anarchists, and other revolutionaries, but unfortunately, the holiday in recent years has been taken over by “demonstrators” who are looking to cause trouble, not promote social change. The last few years had been especially bad in Berlin with protestors burning cars, smashing windows and indiscriminately destroying private property. To make matters worst, Berlin’s far right groups use the holiday to demonstrate as well, so clashes between the two groups can quickly get violent. The Berlin Police seemed determined this year to keep things under control, so once Adrian and I arrived, we were immediately struck by the massive police presence. It is fairly rare to see police officers in Berlin in general, so to see literally hundreds in one place was slightly surprising. The officers obviously had a plan for controlling things this year, as they funneled us orderly into the city blocks set aside for the festival. The main artery of Kreutzberg is a busy street called Oranienstrasse which is crowded on normal days with outdoor cafes, bars and restaurants, but today the street was totally shut down to any automobile traffic and was packed with party goers. There were vendors selling street food every few feet on the side of the street and packed restaurants and bars selling beer and other drinks to anyone walking by with 2€. There was music everywhere, with a different stage literally on every street corner. There were people of all ages dancing, drinking and eating street food everywhere. It was quite a lively atmosphere to say the least! Adrian and I spent the first hour at the festival just walking around, checking out the different stages and enjoying some of the live music. The festival is free of charge so there were no “big name” musicians playing, but it was cool to see some of the local Berlin groups, who ranged from abjectly awful to passably decent. 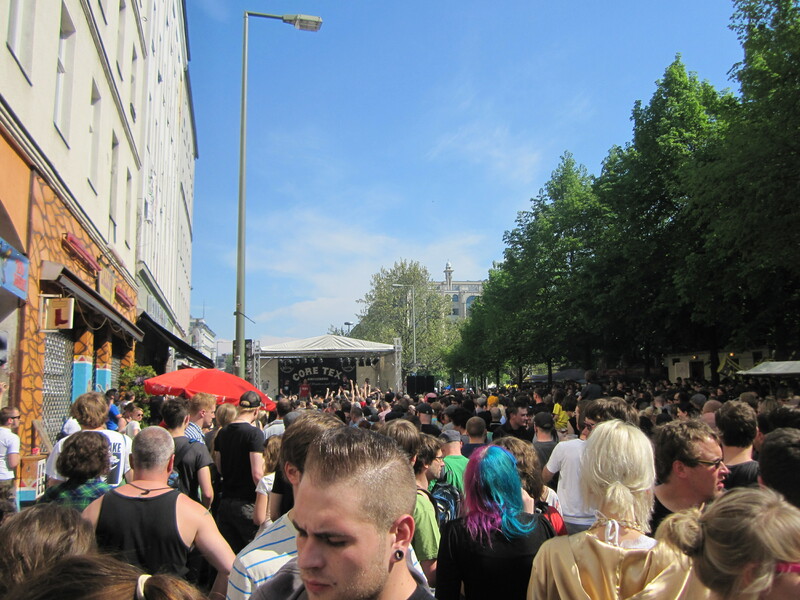 The most popular type of music in Berlin by far is electronic techno music, with repetitive kick-snare drum beats and some synth layered over it, so that type of music was everywhere, but we saw ska, rock, reggae, punk, folk, rap and even traditional Turkish music. Our favorite was probably the reggae… there something about a sunny day and a little reggae that makes you think you’re on a tropical island. After wondering around for a while, we stopped for a bite to eat and enjoyed a little people watching. As I said, the streets were packed so it was fun just to watch the different people walking by. Berliners make some interesting style choices to say the least… sometimes I wonder if this country ever made it out of the 1980s. The anarchists and other activist were easy to pick out of the crowd as they general have interesting and colorful hairstyles, as well as more than a couple facial piercing and at least one unfortunate tattoo. We left the festival in the mid afternoon, hoping to avoid any potential riot and once we arrived at our apartment, it started pouring rain. I felt bad for everyone who got drenched, but felt like we made the right choice on leaving a little early. I heard from a co-worker that nothing happened later that night as the police made sure to keep all the demonstrators under control. Looks like their planning and effort paid off… I was glad to hear no one got hurt!